Country Place was a fantastic option for our annual staff workshop. The accommodation was a perfect fit, and the food was top quality. The staff were so flexible and accommodating to our needs, which made our workshop logistics very easy to organise. 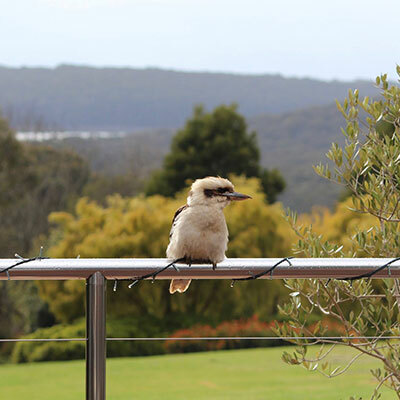 Our staff had such a positive experience at Country Place, everyone was absolutely enamoured by the surrounding views and fresh air – it felt like we were miles away from the hustle of Melbourne! Thanks to you and your team for a wonderful time. We were all there to work hard, planning for the next 3 years, and you made that possible by providing a wonderful location and spaces, great food and service focussed staff. Attended a work event, and the location is absolutely gorgeous! Every staff member I met greeted us incredibly warmly and we’re willing to bend over backwards to help in any way possible. 100% would recommend for anyone looking for a lovely escape location or work convention. Absolutely wonderful! Ran a weekend yoga retreat here, the food was exceptional, the gardens perfect for secluded moments and walking during a break. The studio was beautiful, the accommodation lovely, and the administration flawless. Thank you to Belinda and Ashley for making our retreat so special, we will be back! Fantastic venue. Amazing catering. Had an amazing conference here. Looking for a venue to host my annual wellness retreat I was very fortunate to stumble upon the Country Place. From the moment of contact through to departure from the venue, the staff could not have been more helpful and accommodating. They helped me to create the perfect retreat-even down to customising a menu to suit my guests needs. The food would not be out of place in a Michelin star restaurant and we were constantly wowed by the inventive ways that the chefs created tasty, beautiful meals that were also healthy. The grounds of the venue are awe inspiring and it’s hard to believe you are only just over an hour form the CBD of Melbourne! I highly recommend the Country Place for your event or even just a quick break from the rat race! Thanks to all of the staff-we will see you again!